I get the "Your clock is ahead" error message What should I do? 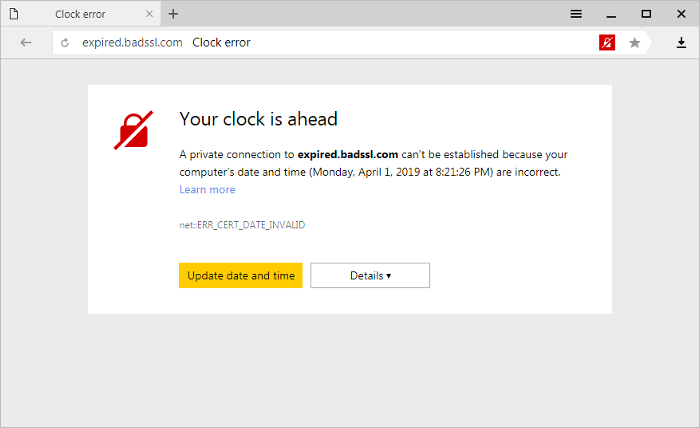 Yandex Browser uses its own integrated security system called Protect, which scans downloaded files for viruses; blocks infected and fraudulent websites and shocking advertising; and secures Wi-Fi connections, user passwords, credit card data, and browser settings. 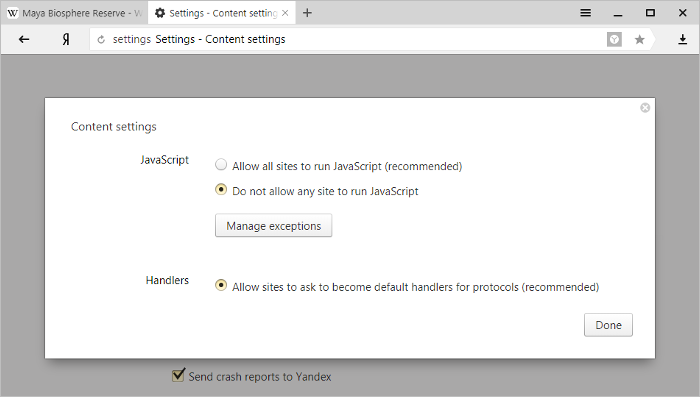 Yandex Browser checks all executable and archived files for viruses, and blocks pages that may spread malware. For more information, see Protect: checking downloaded files and Protect: blocking dangerous pages. 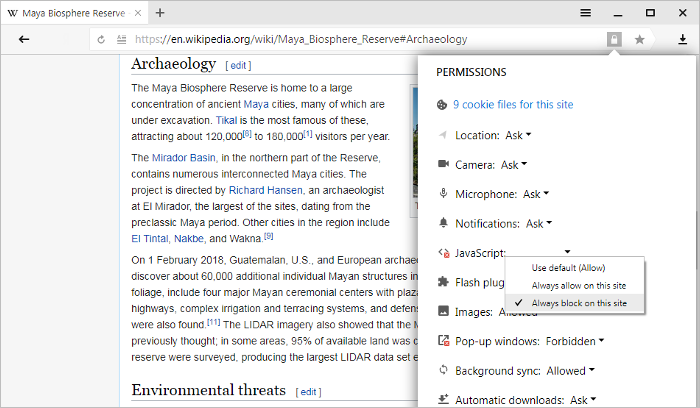 You can't filter search content directly in the browser. However, you can enable family search in Yandex Search. Click or in the right half of the SmartBox. To continue on to that site, click Update date and time. In the system settings that open, set the correct date and time and then refresh your browser page.